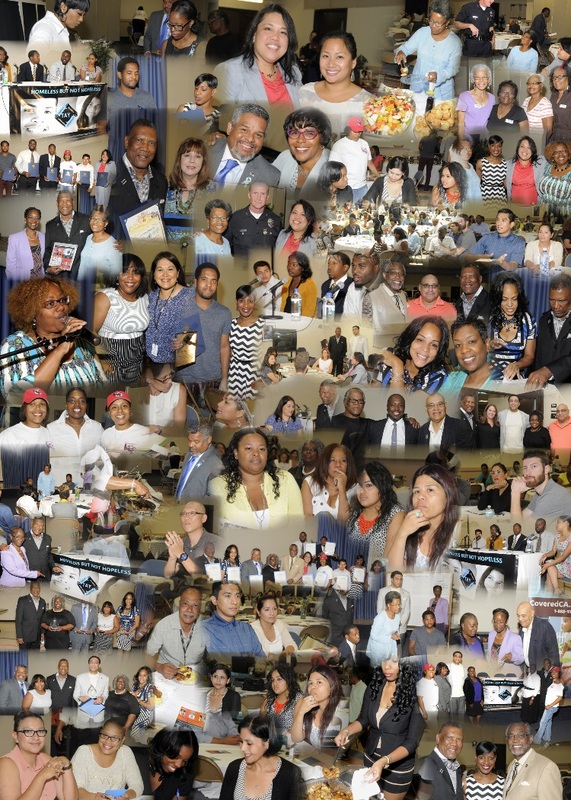 Thank you for attending the Second Annual TAY Summit! 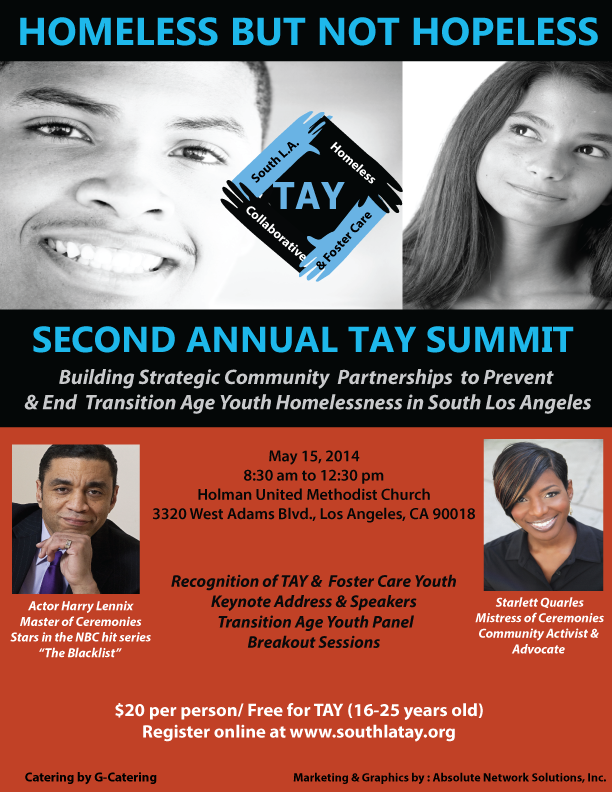 Actor Harry Lennix will be the Master of Ceremonies for the Second Annual TAY Summit. Harry Lennix is an accomplished film, television, and stage actor who currently stars as Harold Cooper, Assistant Director of Counterterrorism for the FBI on the NBC series The Blacklist with James Spader. Moviegoers saw him last summer in the Warner Brothers’ blockbuster Man of Steel as General Swanwick. Bruce inspired observational comic who tries to regain the fame and success that imploded because of his own personal demons. He also just completed what he calls his “labor of love,” a new film version of Shakespeare’s Henry IV, entitled H4. It’s an innovative interpretation of the literary classic filmed in the theater and on the streets. Harry stars in and executive produced both films. Lennix is active in various civic groups, and serves as Spokesman for NOBLE, the National Organization of Black Law Enforcement Executives as well as being an ambassador to the National Association of Drug Court Professionals. He is also on the Advisory Council for Northwestern University, his alma mater. ​​Ms. Quarles’ years of work in her family business has provided her with an uncanny knack for navigating Los Angeles’ Business & Political Landscapes, as well as her ability to interact effortlessly with the citizens of Black Los Angeles. 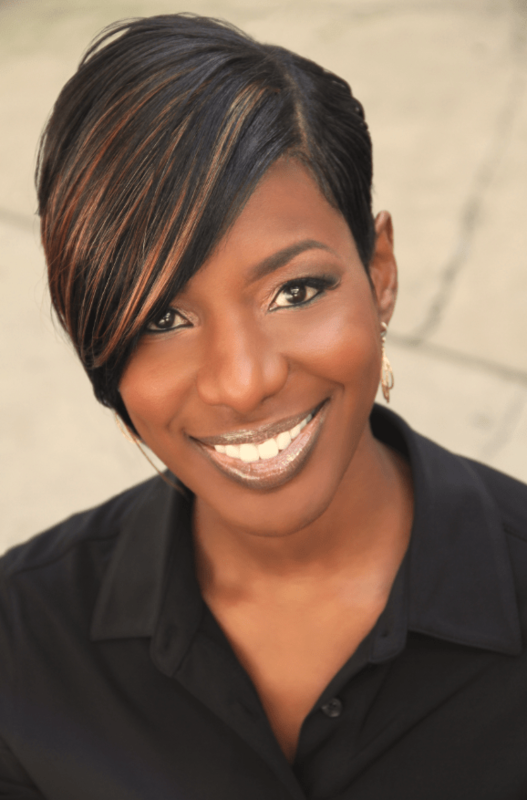 ​She is also the President of urban X marketing (“urban X”),a niche marketing firm that specializes in Branding, Urban Marketing, and Community Public Relations services that help to develop and build the brand awareness of small, medium and large-sized businesses within today’s urban marketplace. 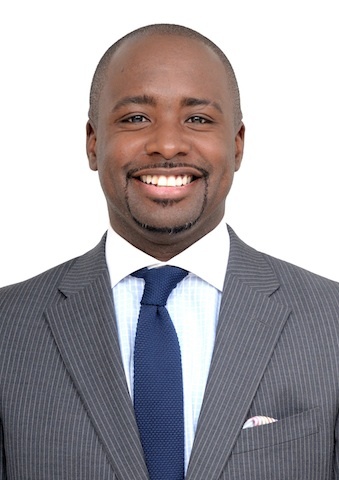 Marqueece Harris-Dawson has been a leader in the South Los Angeles community for more than 20 years leading important social justice campaigns aimed at improving the quality of life for all African American and Latino residents in the community. As President and CEO of Community Coalition, Harris-Dawson has been deeply involved and committed to the organization’s mission, working arduously to improve the social and economic conditions in South Los Angeles that lead to crime, violence, substance abuse and poverty. Harris-Dawson came to the helm of Community Coalition in 2004 following years as a community organizer, leader and director – leading some of the organization’s first major education justice victories. Founded in 1990 by now-Congresswoman Karen Bass and a group of activists, the Community Coalition is best known for leading nationally recognized grassroots campaigns that include groundbreaking nuisance abatement work to close over 150 liquor stores and educational justice campaigns to transform the quality of public education.